Is a perineural tissue that develops in between the metatarsals occupying space and causing pain. The most common locations is between the 3rdand 4thinterspace or 2ndand 3rdinterspace. The lesion forms secondary to friction, irritation, pressure or injury to these nerves. High impact activities, deformities and poor supportive foot wear can lead to this condition. Pain under the ball of the foot. Sometimes patients complain of numbness and tingling sensation in the toes with burning pain or pebble sensation. Patient’s might notice swelling, discoloration. 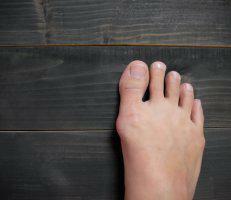 Many patients will complain of shooting pains to the toes. 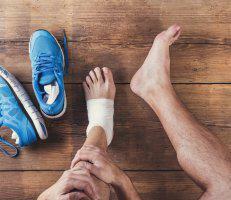 Conservative care treatment options as wider shoes, padding, strapping, injections or custom made orthotics to offload pressure from the ball of your foot. There is laser procedures to reduce pain and increase blood flow. A lot of patients respond very well to serial of injections of alcohol sclerosing to shrink the neuroma lesion. Surgical treatments vary from minimal invasive procedures vs excision of the neuroma lesion.